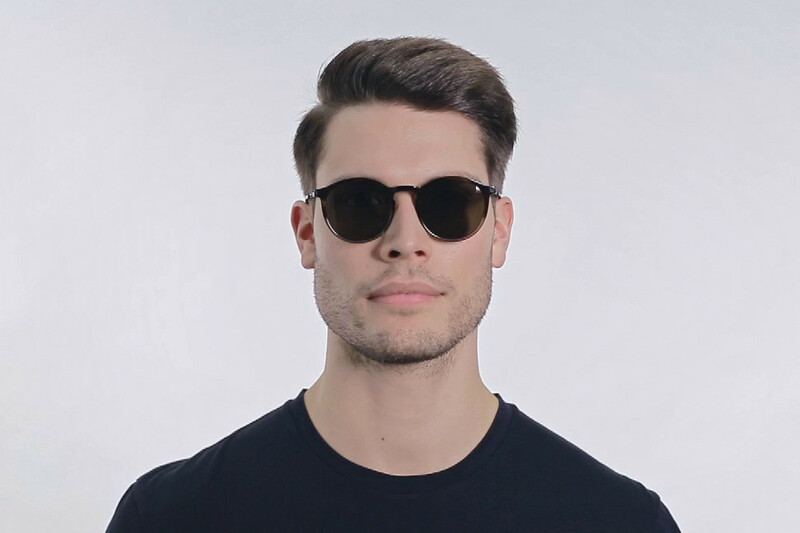 The model wears OKI in colourway C9 Santiago Gradient/Shiny Graphite with Raw Green Solid lenses. 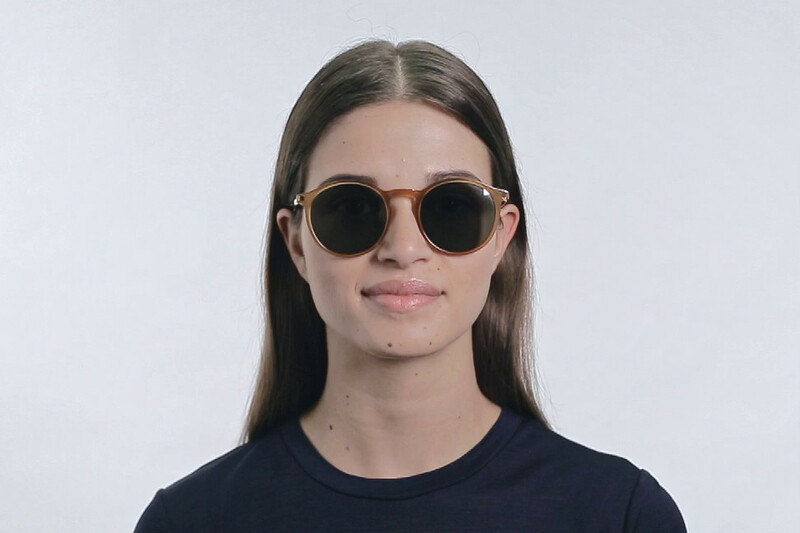 The model wears OKI in colourway C23 Dark Amber/Glossy Gold with Dark Green Solid lenses. 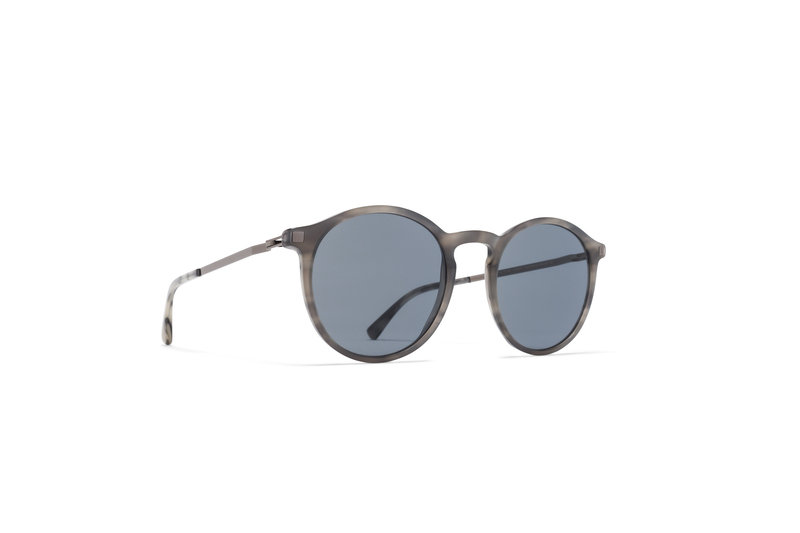 Made of light stainless steel with functional parts in acetate, OKI in C44 Grey Havana/Shiny Graphite is a panto-shaped sunglass frame from the MYKITA LITE ACETATE collection. 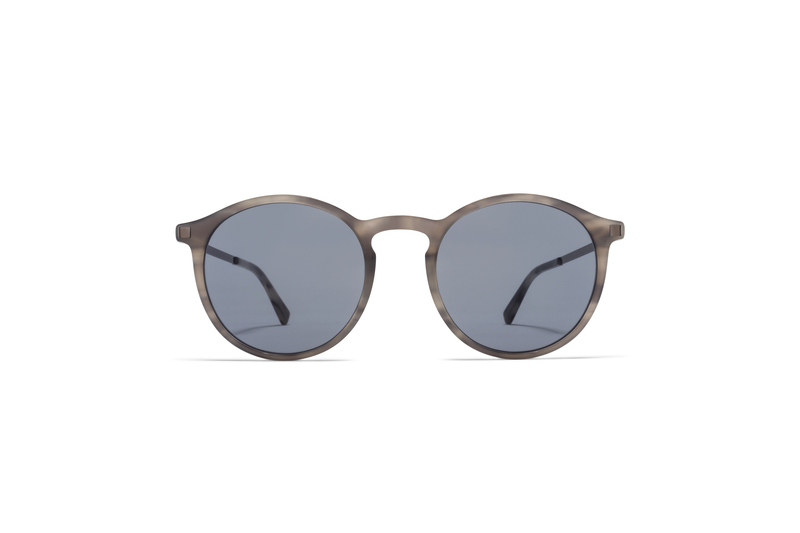 Handcrafted in Berlin.